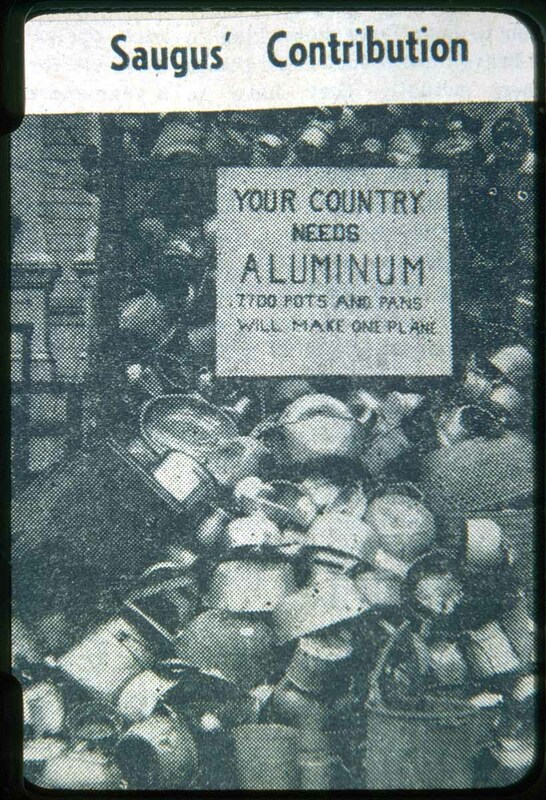 Sign in image reads: "Your country needs aluminum. 7700 pots and pans will make one plane." Image caption reads: "Saugus' contribution"
“Saugus during World War II, 1940,” NOBLE Digital Heritage, accessed April 25, 2019, https://digitalheritage.noblenet.org/noble/items/show/5713.